- Each winning card in these challenges earns you 1 favorite of your choice for each other entry you beat in that challenge. - Create new cards unless I specify otherwise. - You cannot edit cards after you submit them. - Due by 11:59pm CT each day. - Wednesday, Apr 11: Create a creature with 2 or more activated abilities. 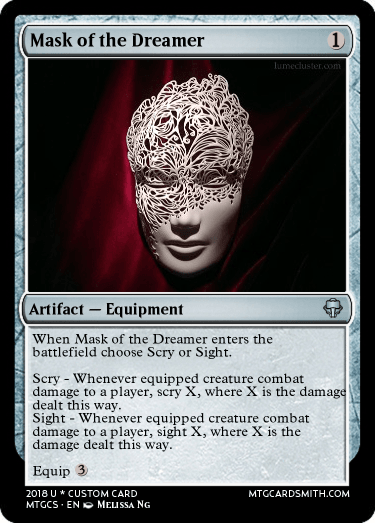 Option 1 -- Create a card with Mask in its name. Old cards aloud. Option 2 -- Create a Tutelage card. Old cards aloud. Option 3 -- Create a card that allows you to gain control of another permanent. For today only, if you open a box, you get 1 favorite of your choice. I'd like to open Box C.
I'll take mystery box A @jpastor. @sorinjace Create a creature with Fire in its name. Just fyi. Opening a box means you've officially entered that challenge. I expect y'all to submit a card for the box you've opened by its deadline. Its cool if you don't, but why not? It's basically a daily or weekly challenge. I'll open box A as well. sorry I couldn't crank more cards out today I'm lucky I got this one in. Hope you like it @jpastor! Thank you @Tomigon for tips on editing to this card. Using Sight from Mechanix 27. I'll take box D. Just cuz no one else has taken it yet. @DoctorFro Box B is a daily challenge. It reshuffles every day. You can look at this discussion's description and find the challenge for Box B there. @baryonyx69 Your mystery box A challenge is to Create a card with the manifest mechanic. 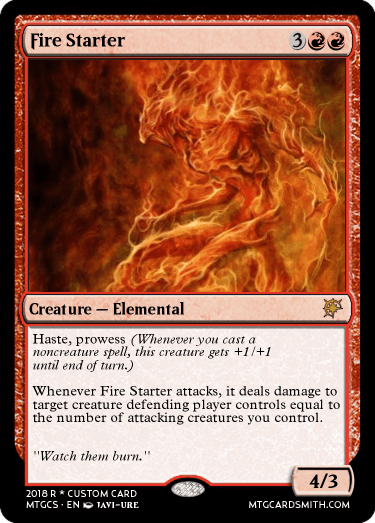 @destoyer153 Your mystery box A challenge is to create a card with Sorin Markov in the flavor text. @jpastor i'd like to request for another mystery box A challenge my good sir. @sorinjace You're mystery box A challenge is to create a creature that has a cost to pay at the beginning of your upkeep in order to keep it in play. My entry will come Monday most likely. 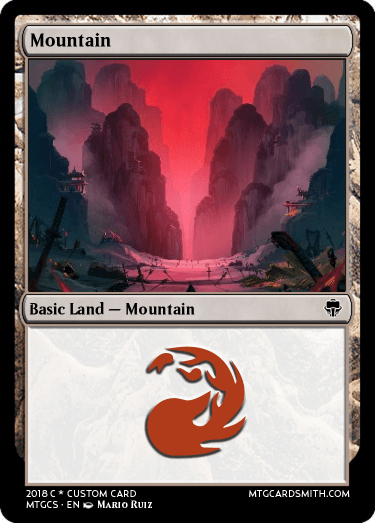 @jpastor For Box B, creating a basic land, did you mean like this? @jpastor - Mystery Box A for me, please. @jpastor- can i open all the boxes? Cool bro. Yoi can submit a card at anytime for the challenges. The only one that you request is A becaise it is a uniqie challenge just for you! oh! can i get A?